QR (Quick Response) codes are two dimensional bar codes that allow you to encode text, url and other kinds of data and looks like the figure above. We are excited to announce that we recently launched integration with QR codes - you can now send QR codes instead of urls to invite your respondents to participate in surveys. To learn more about QR code integration read the blog post by Vivek. 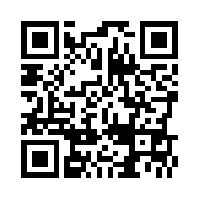 If you haven't used QR codes, find a QR code scanning app (available for free) and scan the above picture - you will be taken to the download page for SurveySwipe application. Can you think of creative ways to use QR code for feedback?